General oblique aerial view of the Barra Air Terminal, looking towards Chiall, taken from the SSW. 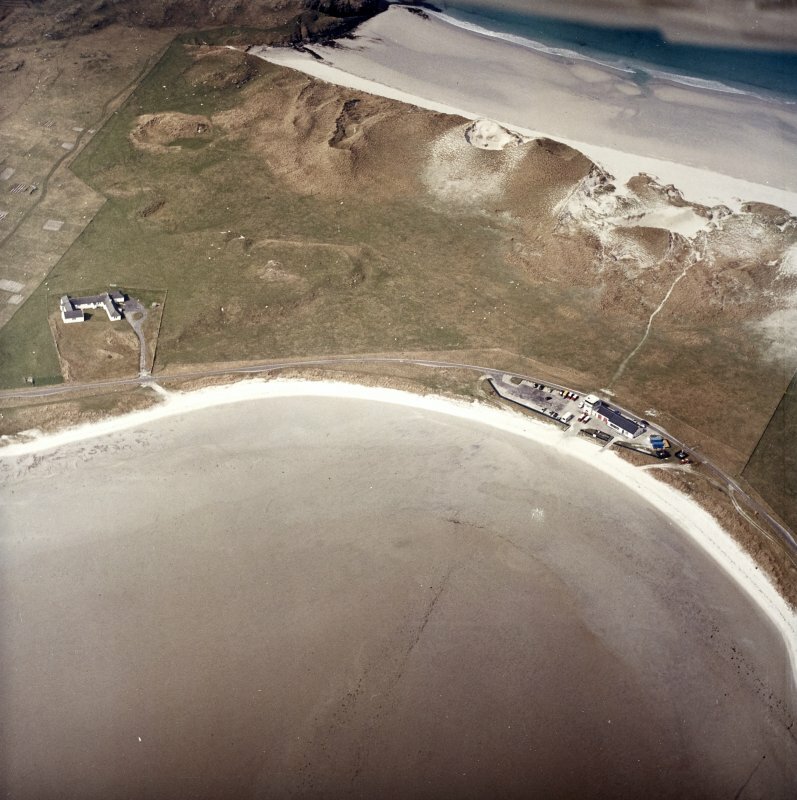 Oblique aerial view centred on the airfield with the shell grit factory adjacent, taken from the E.
Oblique aerial view centred on the airfield with the shell grit factory adjacent, taken from the ENE. 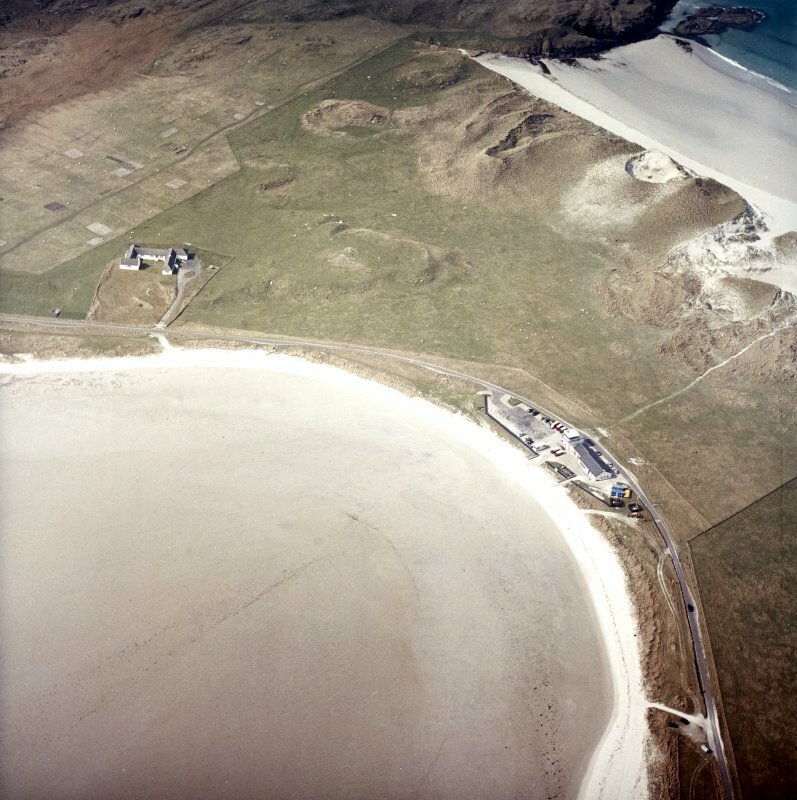 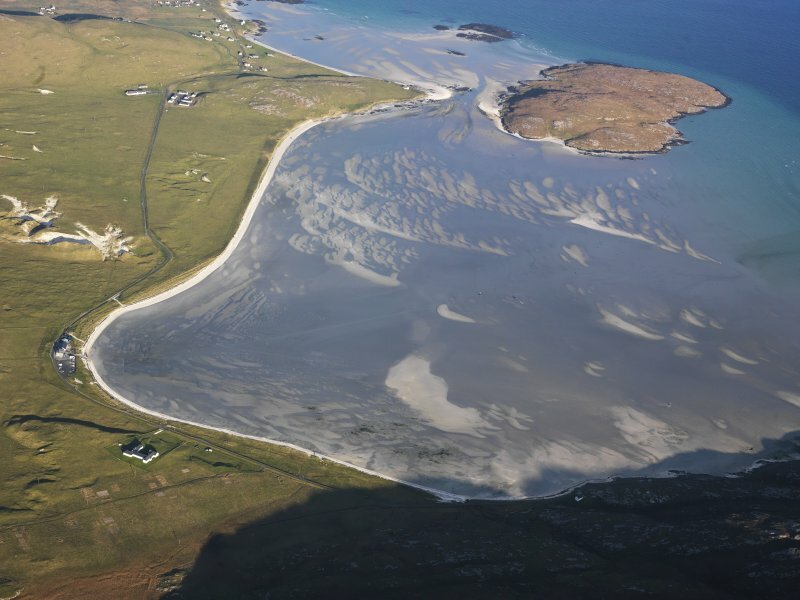 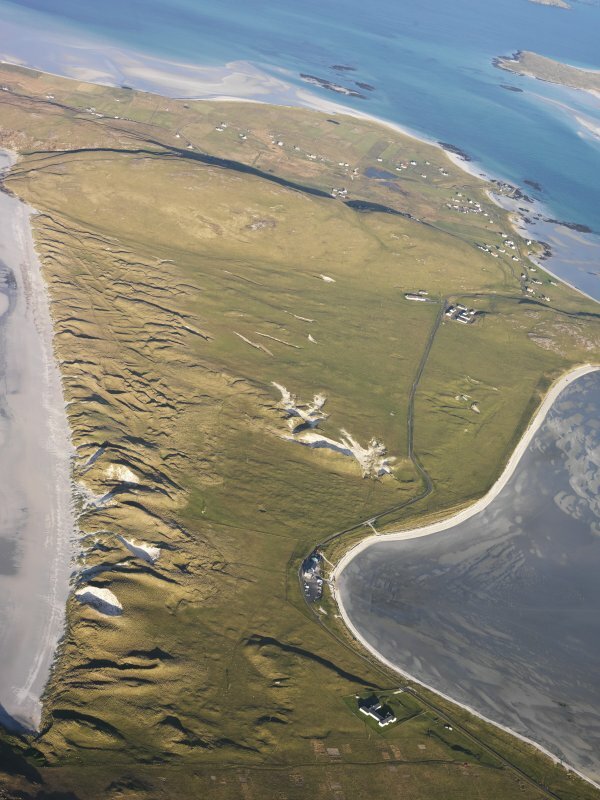 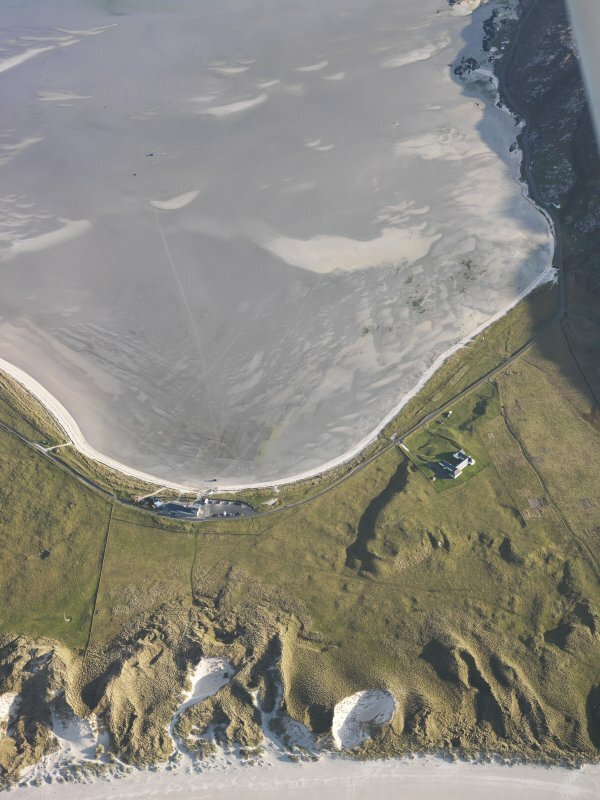 Oblique aerial view of the Barra Air Terminal, looking towards Eoligarry, taken from the SSW. 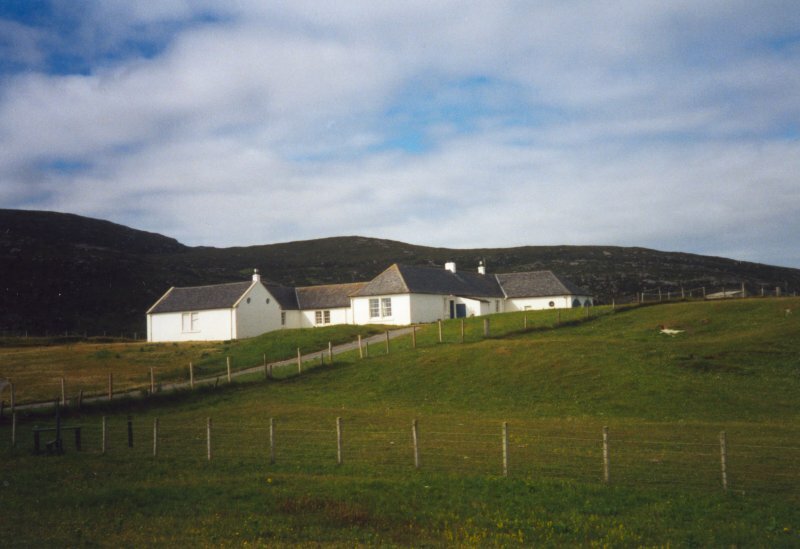 Suidheachan (sitting down place), 1935 House built for Compton Mackenzie, later used as a cockle shell crushing factory; restored as a private residence by Stewart Tod, 1999. 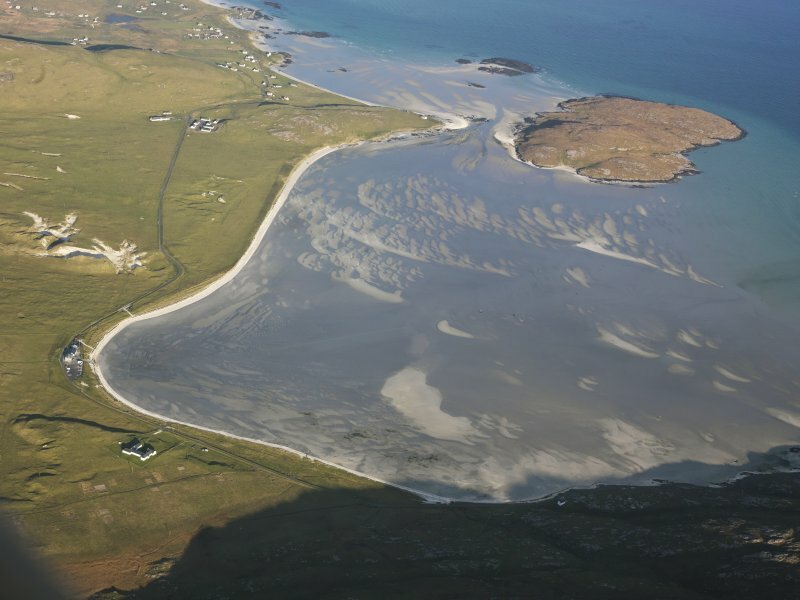 Lying long and low on Vaslain Machair, the H-plan composition of harled brick ranges is orientated so that the main rooms face west, unconventionally turning their back on the magnificent views out over the cockle strand to Gighay and Hellisay, and to distant Rum and Canna across the Minch.